Always start with a clean slate and empty your cabinets completely so that you have a good idea about the available space. The kitchenware should be laid out in front of you so that you know about everything that must be fitted inside the cabinets. Be brutal and discard anything that is useless or unnecessary. You don’t have to throw everything away. Some items that are precious to you because of nostalgic reasons can go into storage. The rest can be donated. Start by wiping off the corners, doors and every little area of the cabinets. Then, you can tackle splash marks and settled dust with the help of soap and water. Professional cabinet cleaners are available in the market as well. Make sure you keep the material of the cabinet in mind before you choose any cleaning agent. 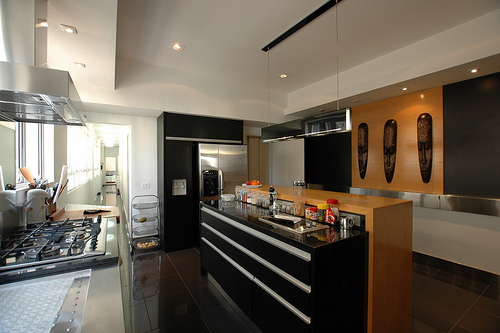 You need to invest in some quality cabinet linings for eliminating odors. Also, they make the place look neat and organized. The options of cabinet liners in Brooklyn are vast and include rubber, vinyl or paper. 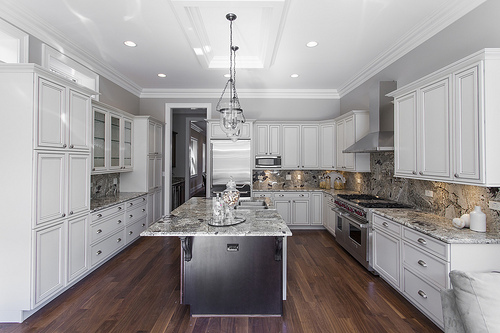 There are many patterns and textures for any style of kitchen. Your kitchen cabinets in Queens need to smell nice since you are going to open them multiple times every day. For this, scented sachets can be used. Otherwise, you can make your own scented bundle using cinnamon sticks, rose petals, lavender and dried herbs. Baking soda sachets do not give out any fragrance but absorb all bad odors. The best kitchen organizer in Manhattan is the one that comes for utensils. If you have a lot of little things in the kitchen, like stray lids, spoons, forks, knives, and bottle opener you can use the kitchen organizer to organize them. You can also install hooks under your cabinets for hanging your pretty cup collection. Dry goods can be stored in air-tight canisters. If you organize your kitchenware according to type, it would be easy to find things. Your glassware should be grouped together. Same goes for your stemware, plates, bowls, fine china and seasonal kitchenware. For items of daily use, you should use a separate cabinet that is easily accessible. Make sure that the chosen cabinet is at a comfortable height. Daily dishes can be stored on the dish drying rack. Neatly stack your daily bowls, salad plates and cereal plates in your chosen cabinet. 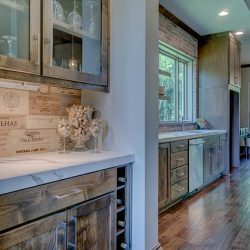 Don’t waste the space offered by kitchen cabinets on top and use them to store items that are only used once in a while. This includes your fine china and special items. The empty storage space under the stove is perfect for storing pots and pans since these are heavy items. You can also install a pot rack for hanging your pots and pans next to your cabinets to avoid stacking them. Choose a flat drawer where you can store your spoons, forks and knives separately. Appliances that are used on a regular basis should go on the counter or shelf but rarely used appliances can be stored inside a separate cabinet. For foods items, herbs and spices, choose a special rack for easy access. Organize your kitchen cabinets every 6 months or so to ensure that things are always organized and tidy.